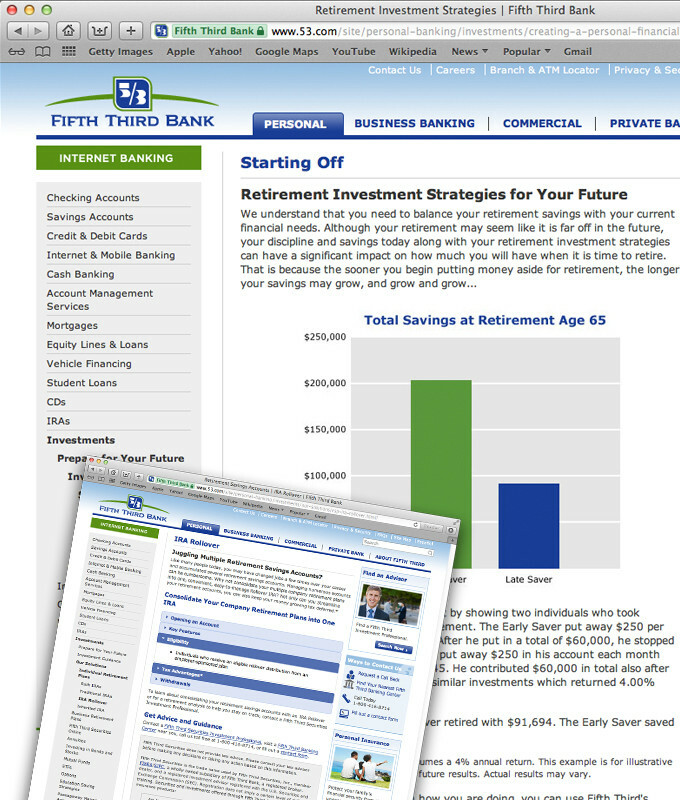 Fifth Third Bank | Optima Group, Inc.
Fifth Third Bank’s investment and Private Bank web information was housed within its overall retail website and thus difficult for customers and prospects to find. 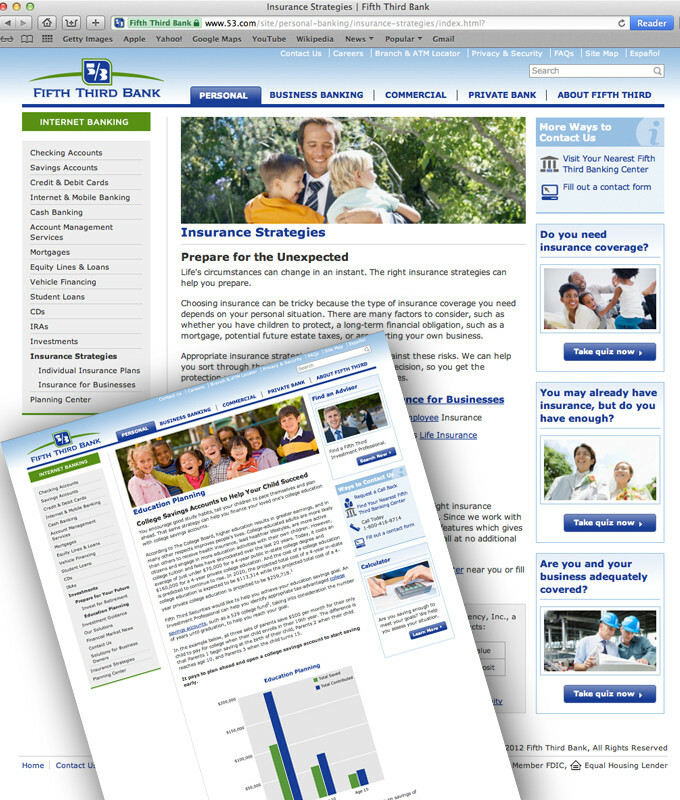 In addition, the website lacked online information regarding the bank’s insurance offering. After significant industry and competitive research, Optima Group recommended developing robust separate sections for investments and insurance, as well as a separately branded section for Fifth Third Private Bank. Optima Group created an architecture and user flow that was highly focused on the user experience. By developing a range of “typical” personas for each potential need, investments, insurance or Private Bank services, we created content, graphics and links that captured the different ways users were most likely to move through the site to access information. 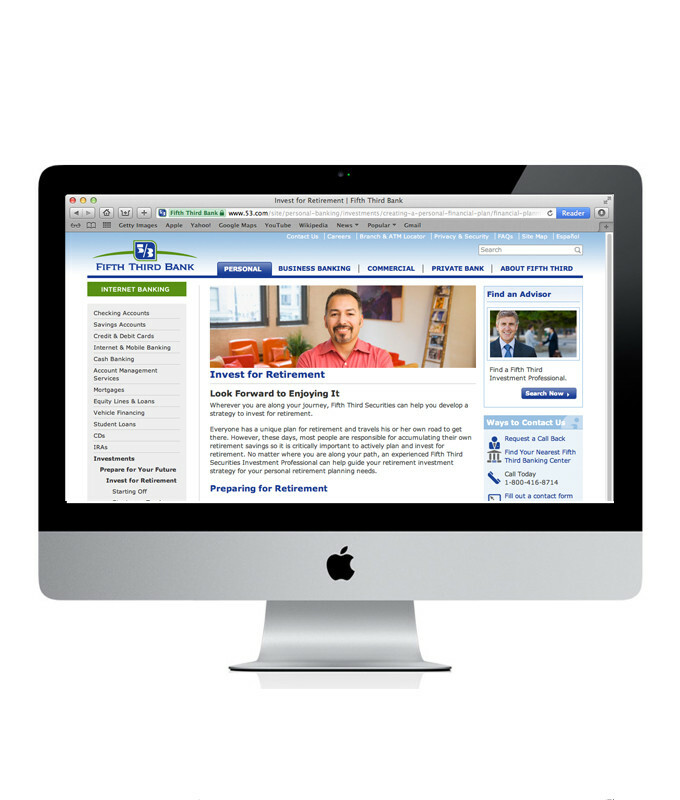 Disciplined application of in-depth search engine optimization (SEO) helped to ensure that Fifth Third would be able to generate a strong level of high potential traffic to the site.